For creating such unusual memory key in steampunk style you would need some wood, a few old pocket watches and a lot of talent and creativity. 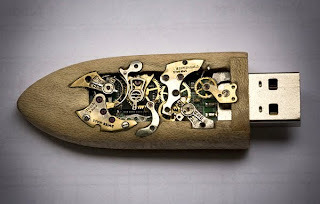 All featured bellow memory keys were created by artist from United Kingdom under nick back2root. The corps of USB drives were made out of different types of wood: Ebony, Padauk and even such exotic wood as Tiger Myrtle. 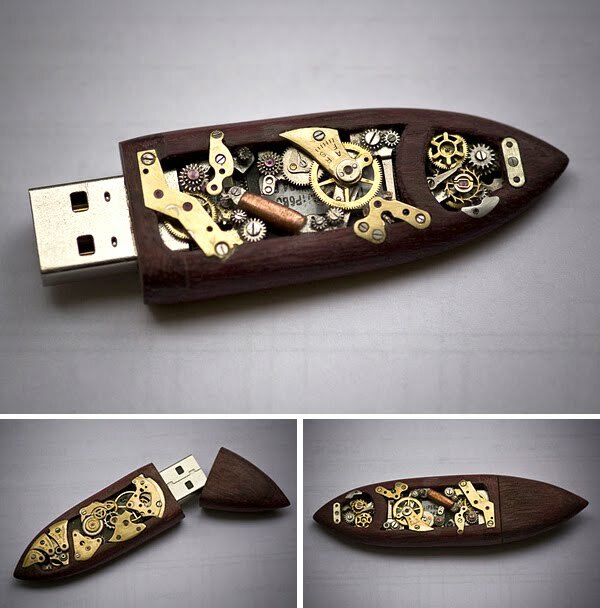 The creation of each device took up to 12 hours and up to 8 old pocket watches.